Replacing an old door with a high performance thermal door can keep your home warmer and reduce fuel bills. These doors are designed to keep the heat in and are more airtight. They can be constructed from PVC-U, aluminium, timber or a combination of these materials. They often have panels of double or triple glazing with similar properties to those discussed in the windows section. More comfortable home: energy-efficient doors fit much tighter to the door frame and reduce draughts. Peace and quiet: as well as keeping the heat in, energy efficient doors insulate your home against external noise. Superior stability and increased door thickness gives a little bit more security. High performance thermal front door. 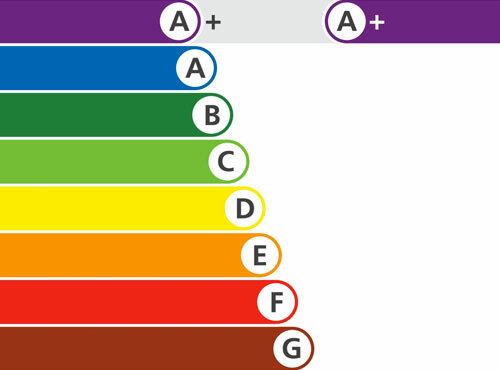 Energy rating: Door manufacturers show the energy efficiency of their products using an energy-rating scale from A to G. A being awarded to the most energy efficient doors. U-Value: sometimes called a heat transfer coefficient, it is used to measure how effective the elements of the door are at preventing heat from transferring between the inside and the outside of a building ie how much heat loss it allows. The lower the U-Value the slower the heat is lost from the house and the more energy efficient the door. Historically, older doors were made of wood, a typical 65mm wooden door would have a U-Value of 2.5. to 3 which is poor, today doors have to achieve a value of 1.8 or below to meet building regulations. Doors filled with highly efficient insulating foam. These doors could help you achieve energy savings when compared to your current door. Glass: The most energy-efficient type for double glazing is low emissivity (Low-E) glass. This often has an invisible coating of metal oxide, normally on one of the internal panes. This lets in light and short wave length infra-red energy, however reflects back the long wave length infra-red radiation generated by the interior furnishings, thereby keeping more heat in the room. Hermetically sealed double glazed windows in the doors. Composite doors: These are relatively new to the market and meet the new building regulations. 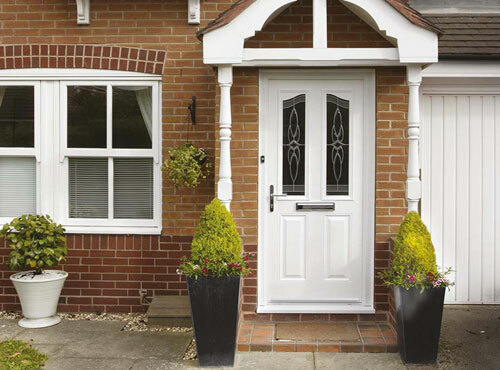 To produce composite doors, different materials are used; each selected to provide a specific benefit. Materials used in composite doors include PVC, wood, steel, aluminium, insulating foam and glass reinforced plastic (GRP), which come together to produce a door that is resistant to the elements, very strong, secure and energy efficient. If you live in a conservation area or your house is listed there may be restrictions on the replacement of external doors. In such cases you should contact your local conservation or planning office to discuss the options available.